Lunar and planetary photos involve short exposure times - from a brief 1/1000th of a second for a lunar CCD image to as much as 8 seconds for a 35mm planetary image, depending on film speed and the object being photographed. With such short exposures, most telescopes have a drive more than accurate enough to provide sharp photos. However, when you aim your telescope outside the solar system - at nebulas, star clusters, and galaxies - photographic exposure times increase dramatically . . . to a half hour or more on many objects. The best telescope drive (even one with a periodic error correction circuit to reduce recurring drive errors) can't compensate for random atmospheric refraction or non-periodic drive errors. Some corrections to the telescope drive speed and declination still have to be made manually to keep the stars from turning into streaks on your film or CCD image. Making those corrections is the job of the drive corrector typically built into your telescope's drive system. However, you still have to decide when those corrections should be made, so you can push the right buttons to tell your drive corrector to do its thing. Telling you when is the job of the off-axis guider or photoguide telescope (which have their own separate category in Photographic Accessories). 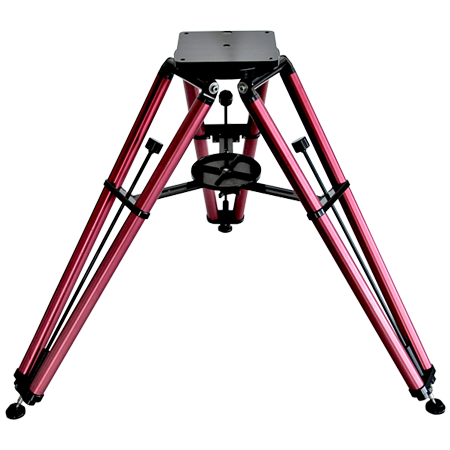 An off-axis guider is a T-shaped camera mount. One short arm of the T threads onto the rear cell of Schmidt-Cassegrains or slips into refractor or reflector focusers. Your 35mm camera is attached to the other short arm by means of a T-ring (most CCD cameras have built-in T-threads and don't need a T-ring). 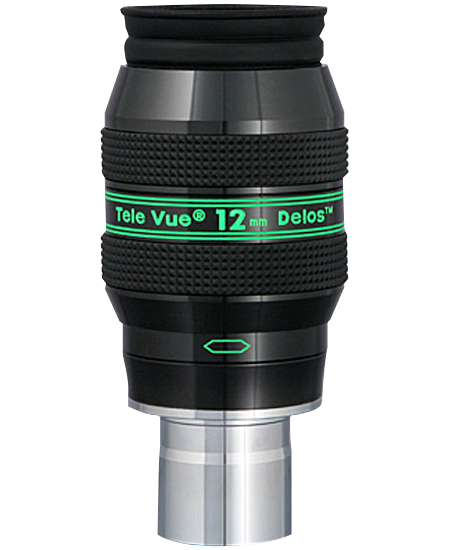 An illuminated reticle eyepiece (which also have their own separate category in Photographic Accessories) is inserted into the eyepiece holder that forms the long third arm of the guider. Light passes through the guider and falls onto the film in your camera or onto the CCD chip. However, the light of a guide star (from the edge of the telescope's circular field, and not from the rectangular area in the center that you are photographing) is diverted to the crosshairs of an illuminated reticle eyepiece by a small off-axis prism within the guider body. Any motion of the guide star relative to the crosshairs immediately shows drive train or refraction errors. This allows you to use the drive corrector to correct the errors before they become large enough to show as streaked star images on your photos. 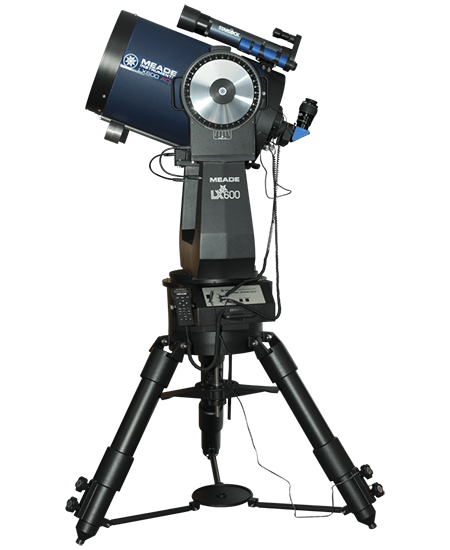 The off-axis guider allows you to guide your telescope through the same optics that are taking the picture. 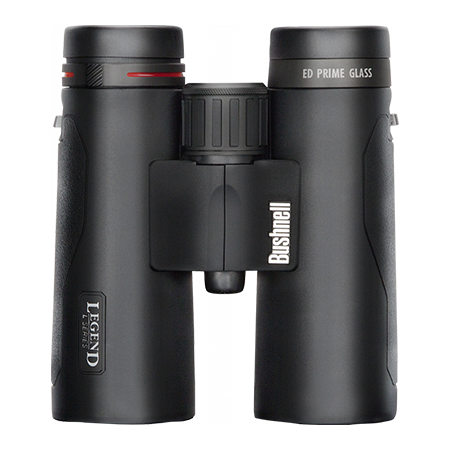 This eliminates any possibility of guiding error if you carefully keep the guide star centered under the eyepiece crosshairs. But careful attention must be paid to your guiding. A guide star that drifts only 5/100ths of a degree (90 arc seconds) from under the crosshairs when photographing with an 8" Schmidt-Cassegrain will give you star trails 1/3" long on a 5" x 7" print. That's a guiding error that is clearly visible, to say the least! For a more detailed discussion of how much guiding error can be tolerated in photographs, see this website's section on illuminated reticle eyepieces. 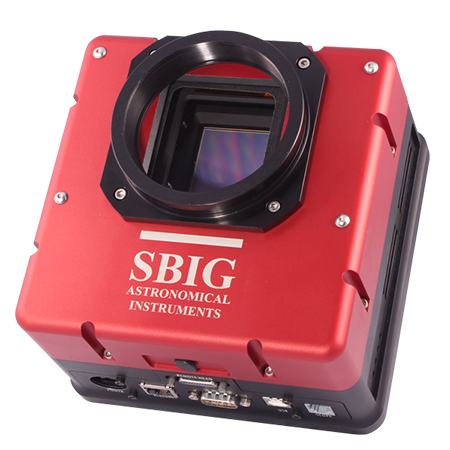 Focusing your camera on the deep space object to be photographed is done through your camera before a guide star is located. If your subject is faint, focus on a nearby bright star. With Schmidt-Cassegrain telescopes, it is often advisable to turn the focus knob slightly counterclockwise (1/12th of a turn or less) after you've reached a sharp focus, to minimize the effects of field curvature at the edges of the final photo. 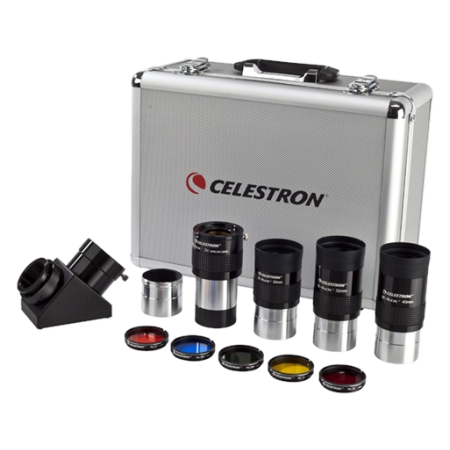 Without touching the main telescope focus knob, look through the illuminated reticle eyepiece and bring the stars in it into focus by moving the eyepiece up and down within the eyepiece holder tube. Lock in the eyepiece's best focus by tightening the thumbscrew on the eyepiece holder. A focus ring on the eyepiece allows you to bring the eyepiece crosshairs into sharp focus separately before focusing on the stars. Rotate the guiding eyepiece holder around the edge of the field being photographed (and in some cases radially adjust it into and out of the field) until you find a suitably bright guide star. This is usually the most time-consuming and frustrating part of deep space photography, as the coma of reflector telescopes and the field curvature of Schmidt-Cassegrains can smear the light of guide stars into dim and out-of-focus blurs that are difficult to see. A bright guide star is typically thrown slightly out of focus and the resulting enlarged stellar image is centered under the crosshairs of your guiding eyepiece. If the only convenient guide star is relatively dim, it's better to keep the star sharply focused (so that it appears brighter) and position it at the intersection of the eyepiece crosshairs, rather than under the crosshairs. To make it easy to determine in what direction the guide star drifts during a photo, temporarily turn off your telescope's drive before you start photography and rotate your eyepiece crosshairs until the guide star's drift is parallel to one crosshair. After starting up your drive again, movement along this crosshair will show drive errors in right ascension. Movement at right angles towards or away from this crosshair will show errors in declination - from imprecise polar alignment or atmospheric refraction, for example. If you have a variable rate drive corrector, it is usually more effective to set the speed a trifle slow, rather than exactly on speed. In this way, right ascension corrections will usually only require an occasional touch on the 'fast' button, rather than a series of alternating 'fast' and 'slow' corrections. As a general rule, for casual astrophotography, your illuminated reticle should have a minimum magnification of at least 2x per inch of main telescope focal length. (An 80" focal length scope, such as an 8" f/10 Schmidt-Cassegrain, would require a minimum guiding magnification of 160x, for example.) For photos taken for publication, or if slides or large prints (8" x 10" and up) are planned, the guiding magnification should be 3x to 5x per inch of main telescope focal length (from 240x to 400x with an 8" f/10 Schmidt-Cassegrain). With all off-axis guiders, a Barlow lens can be used to increase the magnification of the illuminated reticle eyepiece to the required power. 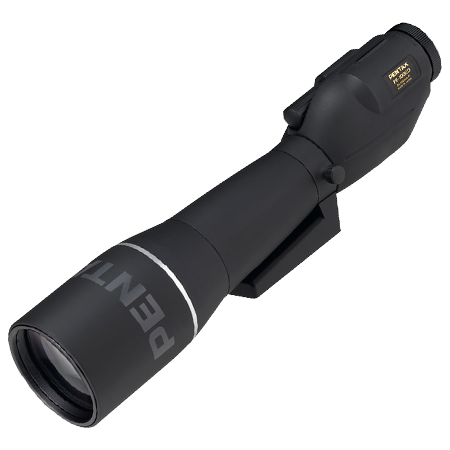 As a general rule of thumb, if you can't see the chosen guide star through a 6 x 30mm finderscope, you probably won't be able to use it successfully for guiding.